How to wear and look after your hair this Summer. Ok! I’m sitting here on holidays with my family Charlie, Briony, Samuel and Sebastian (pictured) in beautiful Port Stephens, staying at the Oaks Pacific Blue Resort in Salamander Bay, enjoying the sun, surf and everything great about the Aussie summer. There is some awesome tennis on the T.V, fantastic golf courses and the beer and wine is flowing. What else could one wish for? Spending lots of time in the sun, pool and surf can damage your hair. 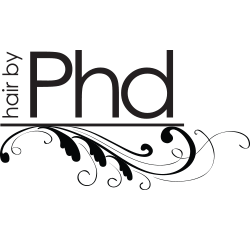 Before I left for my holiday I wrote the Summer addition of the Hair by Phd Newsletter, and in it there are some great tips on how to wear and look after your hair this summer. More good luck than good management. So I’m going to cheat this week, only because I am on holidays. I am going to attach the link to our newsletter for all to read. Hope you enjoy it! While I get back to the sun and surf, if you have any of your own tips, questions or comments regarding this blog, fire away and I will reply in a post answering any questions. My 6 Tips on How to find a new Hair Salon/Stylist.